One of the leading players in India’s mobile payment network MobiKwik has announced a partnership with Walmart. The exclusive partnership sorts allows MobiKwik to power 20 of Walmart’s Best Price Modern Wholesale stores in nine states. This deal sounds interesting as we see the Mobile Wallet concept seeping through and comfortably making its way through the offline market. Earlier this year, the giant mobile payment company which boasts of over 17 million users had announced partnership with CCD. At this pace, the physical wallet making companies should really start worrying for business. One of their major keys to success is the kind of offers they table forth. To add up to the user’s good books, a bonus to this new feature is added. Users will be able to get instant refunds as opposed to the current policy which involves manual processing and can take up to 7-10 working days. 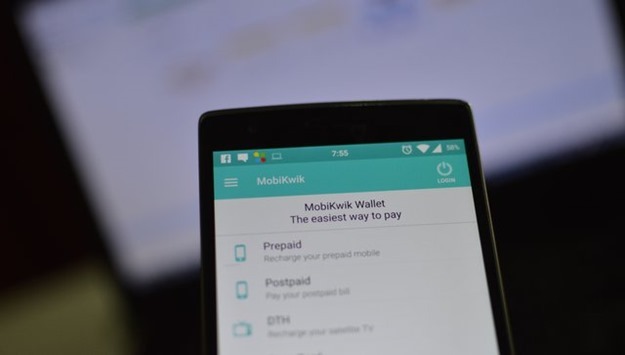 MobiKwik claims to currently have a retailer base of 50,000. The easy to use application helps make payments at a single tap. The company has definitely come a long way since it was founded in 2009. Little could we expect it to wave its wand over the offline market. MobiKwik has raised almost $30 million in funding till now from Sequoia Capital, American Express, Tree Line Asia, and Cisco Investments. Notable clients of this company include Uber, Meru Cabs, Big Bazaar, WHSmith India, Café Coffee Day, PVR, BookMyShow, Domino’s, Pizza Hut, Star Sports, GoDaddy, eBay, ShopClues, Myntra, Jabong, Pepperfry, HomeShop18, MakeMyTrip, Cleartrip, and Yatra. In recent past, mobile wallets have built a pathway into the online payments section, be it on e-commerce websites or for paying utility bills. The luring offers, which are placed forth by the mobile wallet companies seldom, go ignored by the user base. The companies are now tapping the offline market at a fierce pace, very simply because people are not restricted to shop even while moving cashless. It’s easier to use your smartphone to make payments. They’re well on the path of replacing physical wallets, as you can safely pay and also track your expenses at a click. Considering the big brands and offline retail stores spread in the nook and corners of the country, the scope for market growth is unconstrained. "MobiKwik Will Now be Accepted at Walmart’s Best Price Modern Wholesale stores", 5 out of 5 based on 1 ratings. A 20-something journalist by both passion and profession. Armchair thinker, avid reader, movie lover and web content writer. Whoa! Now Open A Bank Account in Minutes Through Just a Mobile App! Now, Pay For Coffee At CCD Outlets With MobiKwik! Online Mobile Prepaid Recharges – Moving Forward from Comfort to Freebies !